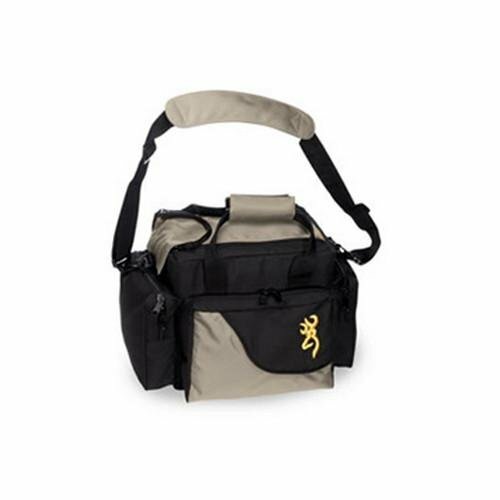 Browning Cimarron Shooting Bag by Browning at Freedom from Government. MPN: 121030091. Hurry! Limited time offer. Offer valid only while supplies last. Elkton Outdoors Hard Gun Case: Fully Customizable Pistol Case: Holds 5 Handguns and 10 Magazines: Crush Resistant & Waterproof! Elkton Outdoors Hard Gun Case: Fully Customizable Pistol Case: Holds 4 Handguns and 8 Magazines: Crush Resistant & Waterproof!